CUSU President and University Council member Daisy Eyre has described the Council, Cambridge’s executive decision-making body, as seeming “very distant from the experiences of students”. Describing a “feeling that decisions have been made long before they make it to the Council” in a blog post, Eyre criticised Cambridge’s decision-making process as undermining discussion, and going against the sense that the University should function as a “hugely democratic institution”. Speaking to Varsity, she cited the report of the Environmental Sustainability Strategy Committee (ESSC) on Cambridge’s environmental impact as an example of how the Council functioned. As the ESSC had already considered the report “in detail”, University Council was unable come up with its own recommendations. Instead, they had the “very constrained power” of “whether or not to accept” the recommendations. Eyre said this made Council feel “like a rubber-stamping body”. Eyre acknowledged that University committees are often perceived as “boring”, although she said that that they were “too important to ignore”. She also criticised the gender and racial composition of committees, and has said that the “shockingly narrow” composition of the University Council “must diversify”. She said it was “not good enough” that the only non-white Council members were students, adding that it was “very worrying” that the “significant numbers” of non-white academics were “not represented”. At present, University Councillor Umang Khandelwal and Graduate Union President Dr Darshana Joshi, both student repsentatives, are the only non-white members on the Council, which has a total of 25 members. A University spokesperson declined to respond to Eyre’s comments, but said the CUSU president was entitled to express her opinions. 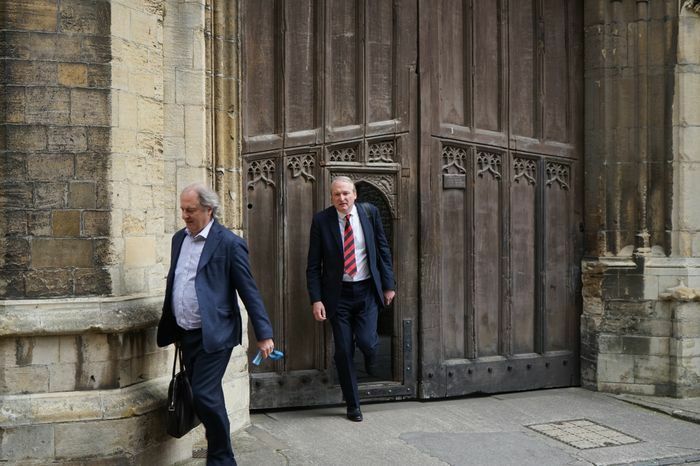 Remarking on recent University Council discussions over whether to divest Cambridge’s endowment from fossil fuel company holdings, Eyre said that her argument in favour of divestment were “mostly drowned-out by the weight of other council members and the University Administration”. Eyre argued that “both Council and the [Divestment Working Group] report” skirted around the issue of full divestment, focusing on “smaller details” rather than “address[ing] the implications of not fully divesting”. University Council is set to decide soon on whether to commit to full divestment, after its presentation last month divided Council members. Looking to the future, Eyre said she hoped that a proposed new CUSU-GU Report to Council, presented by Eyre and Joshi, will “bring student issues to the heart of the University” by forcing the University Council to talk about the experience of students and facilitating more of the discussion to be student-led, which Eyre hopes will “orient” Council “to a different set of concerns from its most normal operating mode”. Eyre’s tenure as president will come to an end in July, when she will be replaced by Pembroke student Evie Aspinall.